-Contributed by Charity A. Smith. 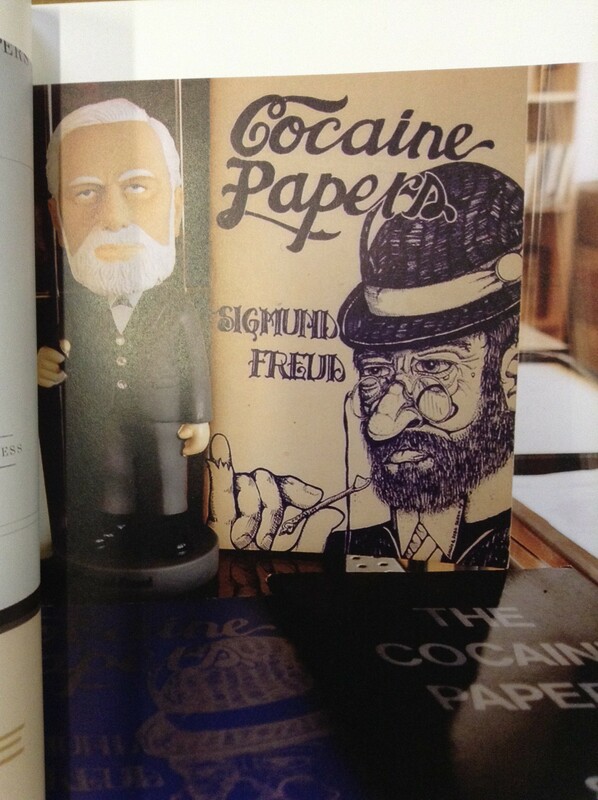 I used to think owning a dog-eared copy of the Portable Beat Reader made me pretty hip…and then I was asked to write a blog on one of the Cummings Center for the History of Psychology’s newest acquisitions. 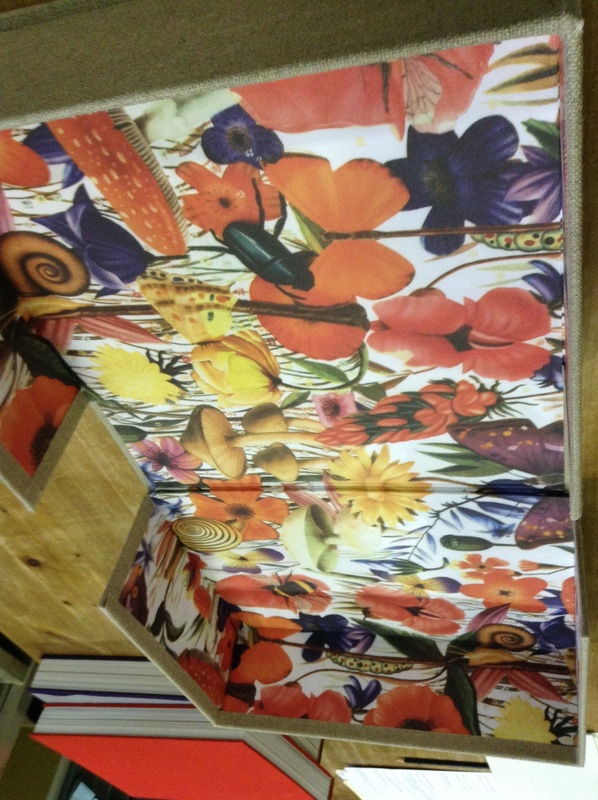 Sadly, I now realize I’m about as hip to the jive as Alex P. Keaton or one of those Brady Bunch kids. Why? 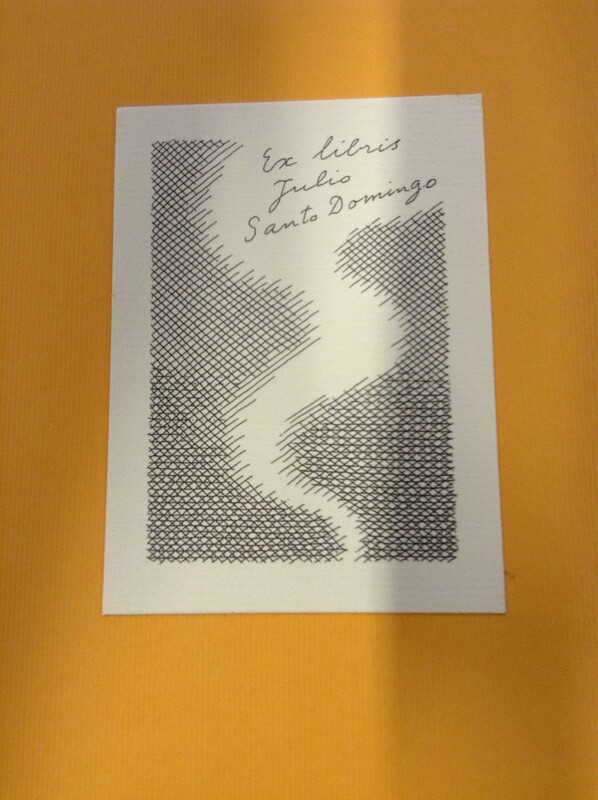 Because I was finally given a taste of the LSD: The Ludlow-Santo Domingo Library. Prior to his death in 2009, Julio Mario Santo Domingo, Jr. amassed a wealth of objects and texts related to altered states of mind; mind-blowing music memorabilia; and obscure works of art—the contents of which would make your mother blush. Thus making the LSD (yes, that’s really what it’s called), the world’s largest collection of all things counter-culture. 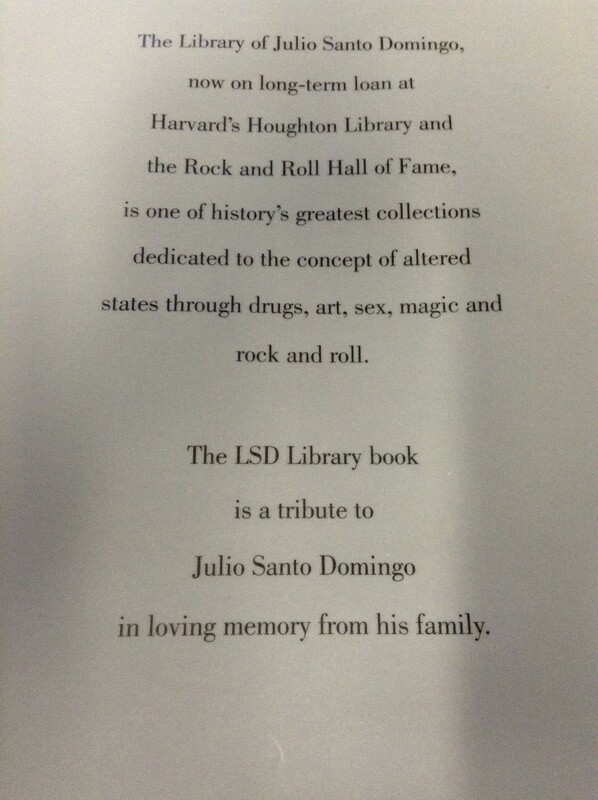 Although Julio’s full collection is permanently housed at Harvard University, former home of Timothy Leary’s Psilocybin laboratory, the CCHP was recently gifted a limited edition anthology (only 500 copies printed, in true counter-culture fashion), containing highlights from his famed (and often infamous) life’s work. This two-volume, 900-page reduction of the LSD is a true testament to this rule-breaker spirit and it shows—well before turning a single page. The vibrance of Julio’s collection cannot be contained by mere binding, spilling a rich world of color into the box in which the tomes are housed. In terms of living history, this thing clearly has a pulse. 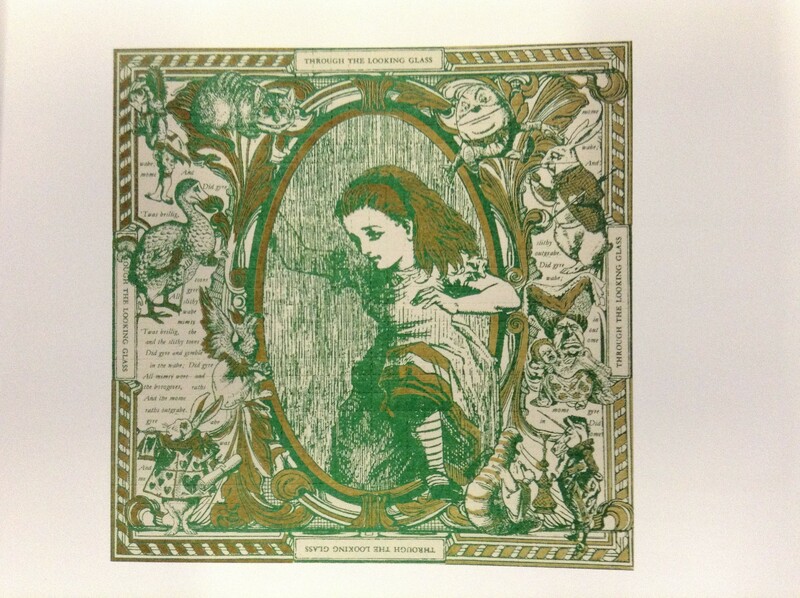 The only thing more metaphoric than opening volume one to an illustration of Lewis Carroll’s Alice, is the realization that you are looking at the tell-tale perforations of an LSD blotter. 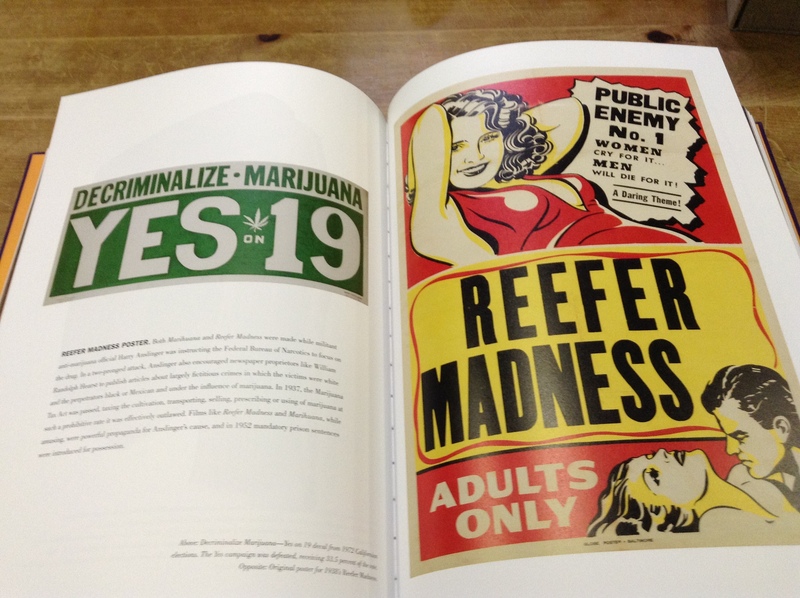 This image, much like the memorabilia housed in the pages that follow, is indicative of not one, but many trips through the looking glass. 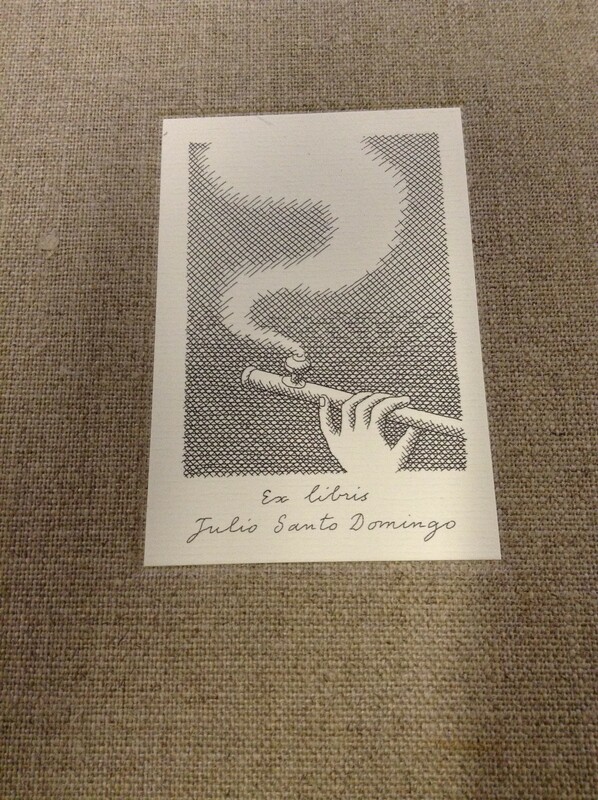 With a table of contents that reads much like a wrap-sheet or weekend bender at Altamant, each section promises to be a wild ride through hidden parts of history, while also revealing Julio’s obsessional bent to acquire all things taboo—including empty opiate bottles (old and new); McDonald’s coffee stirrers, turned cocaine spoons; a hand-typed copy of Woody Guthrie’s essay on Leadbelly; and the whiskers of none other than Mick Jagger. And on these promises, it most definitely delivers. From his collection of Chairman Mao buttons to manuscripts penned by the original beat writers, this anthology doesn’t just catch the eye—it holds it, with a voyeuristic intensity that, much like its contents, verges on criminal. I tip my hat to you, Mr. Kravitz; you nailed it—there is truly no better way to describe the most eclectic collector of the counter-culture, than this. 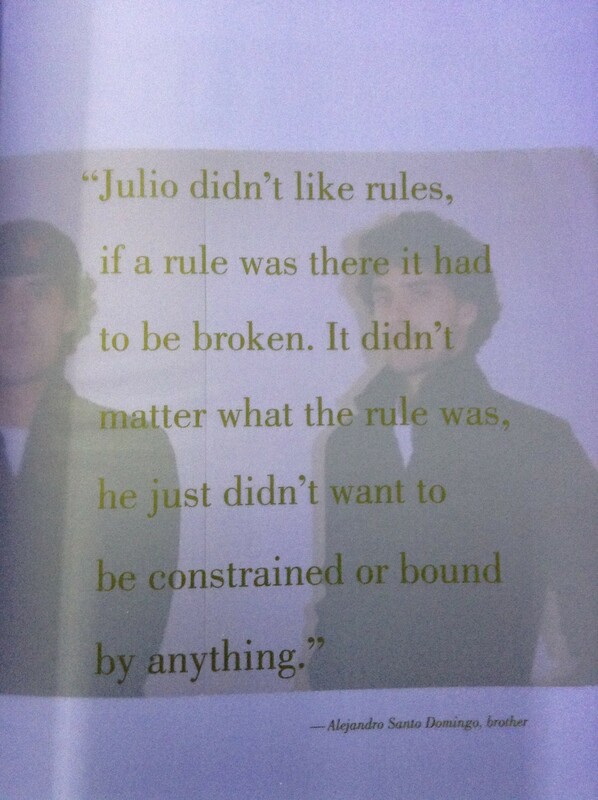 Rock on, Julio; rock on.